හදවතින් පාට හැඩතල දකින්නන්ගේ ජීවිතයේ රිද්මය…! Will be a one-of-a-kind musical show which will be coloured by some of Sri Lanka’s blind artists such as Mekala Gamage, Dinesh Eranda, etc. supported by a Blind Orchestra for the first time in Sri Lanka. “Team Colour” has taken a massive step towards discovering and promoting talented blind artists of our country to come forward with their singing talents and support them to develop themselves. The special feature of this event would be that all performances will be made by blind artists. The band will consist of blind performers and the announcements too will be done by blind announcers. The Brand Ambassadors of this show will be our beloved cricket team members Mahela Jayawardana & Dilshan Fernado, who have joined hands on making this event a grand success. So here’s the chance for you to show your commitment either by purchasing a sponsorship package, or by attending the event, or even by spreading the news among friends. A massive percentage of the funds raised by this event will indeed be utilized for the betterment of the blind community. So your effort will not be in vain in any case. For further clarifications regarding the sponsorship packages or to contribute your valued support towards this event in any form, please feel free to contact Consultant Opthalmic Technologist Somalatha Herath Menike on +94 715 384034 or Mr Saman wijethunge +94 714 052951. Bone Marrow Donation: The new way! Bone marrow transplants sometimes are the only life saving interventions for people with certain conditions like blood cancer, blood disorders, and some genetic diseases. Due to the latest advancements in technology the donor doesn’t have to undergo any surgery for this! Here goes the TO DO list. It is absolutely safe and maximum it will take 10 days to recover. The donor express commitment to donate bone marrow whenever and where ever the call comes from. Blood is tested for HIV/Hepatitis/Syphilis/Malaria. If clear then the blood or buccal swat (from the inside of your cheek) is sent for HLA (Human Leucocyte Antigens) typing. Search request for the bone marrow donor comes from transplant physician. A search is initiated for HLA match in the registries. Five days before the donation the donor is required to take an injection which will mobilise the bone marrow from the stem cells to the blood. Tests are done periodically to see if the necessary stem cells are present in the blood. Once the donor is ready, he donates the blood which is sent through an apheresis machine which seperates the stem cells and sends the blood back to the donor through the other hand. According to the National Marrow Donor Program donors may experience side effects including headache or bone pain and muscle aches, similar to a cold or the flu, for several days before collection. These are side effects of the filgrastim injections that disappear shortly after donation. Other common side effects are nausea, trouble sleeping and tiredness. Less than one percent of donors have an allergic reaction to filgrastim, which may include skin rashes or shortness of breath. Bone marrow is the soft, jelly-like tissue that is found in the hollow centre of all large bones. Bone marrow contains stem cells which are essential for blood production. Cord Blood & Stem Cells? Cord blood is the blood left over in the umbilical cord and placenta after the birth of a baby. 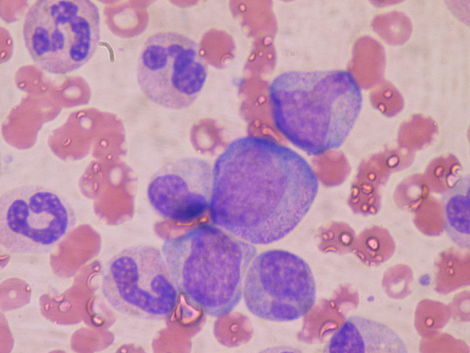 This blood has been found to be an extremely rich source of stem cells. These stem cells can now be used as an alternative to embryonic, bone marrow and other stem cell types. There are no ethical controversies surrounding stem cells derived from the umbilical cord as the umbilical cord and placenta are usually discarded after birth. Your baby’s cord blood is a valuable source of stem cells that could be used to treat many life-threatening diseases and medical conditions. The value and benefits of umbilical cord blood stem cells are great as stem cells have saved many lives so far, and medical researchers are exploring new uses for umbilical cord blood stem cells in treating diabetes, heart disease and stroke. There are 8 screens, and on each screen you are given a word and 2 buttons to choose from. Select the Colour of the word, not the word! For example if the word is “GREEN“, but since its letters are in BLUE, you have to select BLUE. Take the Test. Thanks Ashanth for forwading me this cool link. Colour Identification Lies Wholly On the Left Hemisphere of the Brain??? Find out here. Gamya Wijedasa will represent Sri Lanka for Miss World 2009 Pageant will be held on December 12, 2009 in Johannesburg, South Africa.